If its an Escape you Desire, then Look No More....Located on a Corner Lot in Holiday Shores (Off Boyt Rd). Low Traffic Area, You Can Walk or Ride Your Golf Cart with No Worries. 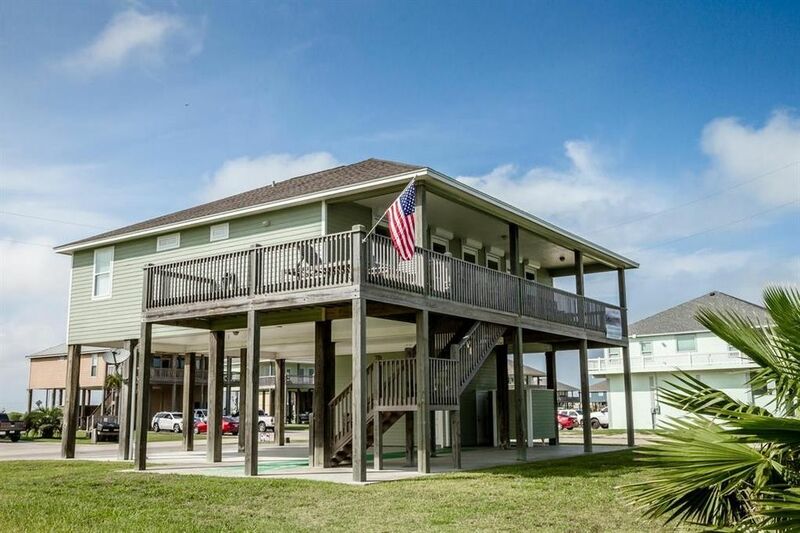 This 3/2/1 Beach House was Blt in 2011 with Comfort in Mind - Open Living Concept. Tilt Out Windows for Easy Cleaning. Storm Shutters to Protect YOUR Investment. Wood and Tile Floors. Cool and Calming Colors. Granite and Stainless Appliances w/Large Bkfst Bar. Recessed Lighting and Ceiling Fans. Large Bedrooms (can Sleep 13 in Total but NO Bunk Beds - Real Beds). Large Closets. Master BR has Deck Access. 1 Car Garage. Wonderful Views of the Gulf. Even During HIGH Tide, this Part of the Gulf STILL has Plenty of Beach to Enjoy. This Beach Home has Never Been Rented Out. Tommy Bahama Furniture and Accessories (excluding a few Family Pieces) will Remain Depending upon the Price. Just FEEL the Stress Melt Away and You Rest and Recharge Your Batteries....RELAX!